La Palmeraie is the place where you find all the practical information about palms collected in one place. Via this palms page you simply navigate to the articles that contain the information you are looking for. Totally new in the hobby or are certain terms not clear for you? Take a look at our article “Palm trees for dummies” where you will find a simple and clear explanation. If you have an additional question after reading an article, please let us know by clicking the comment form at the bottom of each article. We are always happy to help you. On this page you’ll find a summary of all our articles concerning palm culture. Not only general information but also quite specific problems are discussed. Of course you’ll also find lots of information about winter protection. 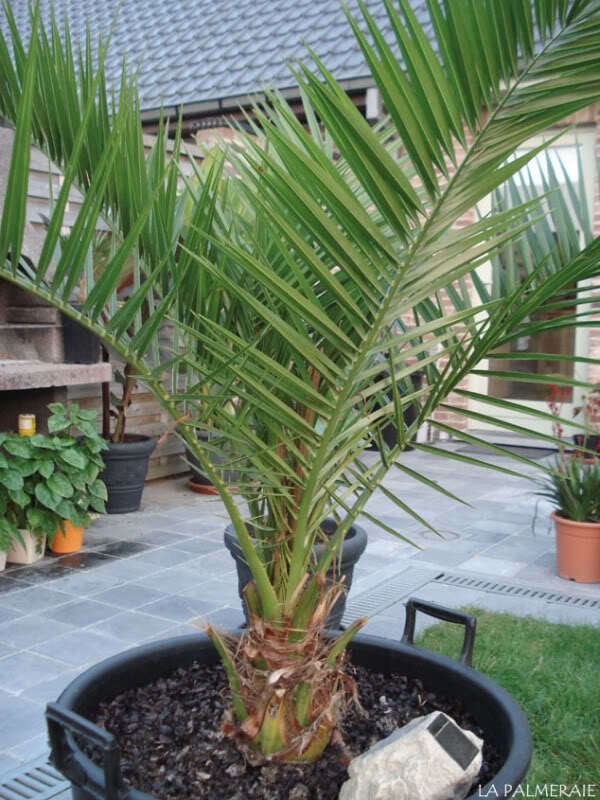 If you would like to sow a palm tree; take a look at our Sowing manual for palms. You’re looking for the characteristics of one specific species? Take a look at this page! We describe the general features, care and illustrate each species from seedling to adult. The list is regularly updated with new species.You want to be kept informed? Subscribe to our free newsletter. Over the years our own collection has been extensively expanded. What started with one species soon rose to dozens of different species and sizes. On this page you can find them all.. If you’d like to see all our articles in a summary, click on the top right on “articles”.